Saturday, April 27th from 9:30am-5pm. WHO SHOULD ATTEND? People interested in learning more about Head to Heart. You will watch live teaching of the most powerful sessions in Head to Heart to get a sense of the program. You will learn how to start a group and what the next steps are. You may pay at the event. This is a 3-credit course at our new BWGI Institute at Grace Biblical Seminary in Hong Kong organized by: Grace Biblical Seminary & co-organized by Yan Fook Bible Institute. Can you say “Yes!” to these three critical questions? 1) Are you experiencing your union with Christ in relationship to the Father? 2) Are you experiencing the Father’s affection and responding with delight? 3) Are you sensing the fruit of the Spirit in your life as you relate to the Father through Christ? The point of Christianity is not knowing information about God, but having a relationship with God. Learn how to integrate His truth from the head to the heart so that you can have these three life-changing experiences. Learn how to integrate critical biblical truth (Trinitarian Spirituality) into your instincts and emotions and as a result, into your family life and relationships. First we will explore how the Fall, culture, and family background has influenced your perspectives, emotions, and instincts. As you learn what those effects are, you will begin to understand and experience how to transition from that background into an emotionally healthy participation in God’s new family, the Body of Christ. TO REGISTER CLICK ON THE FLIER BELOW, FILL OUT THE FORM AND EMAIL BACK TO office.hkgbs@gmail.com. WHO SHOULD ATTEND? People interested in leading (Group Leader) a group through the Head to Heart program. Those interested in Facilitating the gender specific small group. Those interested in a survey of the Head to Heart program. WHO SHOULD ATTEND? People interested training (Trainer) or leading (Group Leader) a group of people through the Head to Heart program. Those interested in Facilitating the gender specific small group. Those interested in a survey of the Head to Heart program. WHO SHOULD ATTEND? 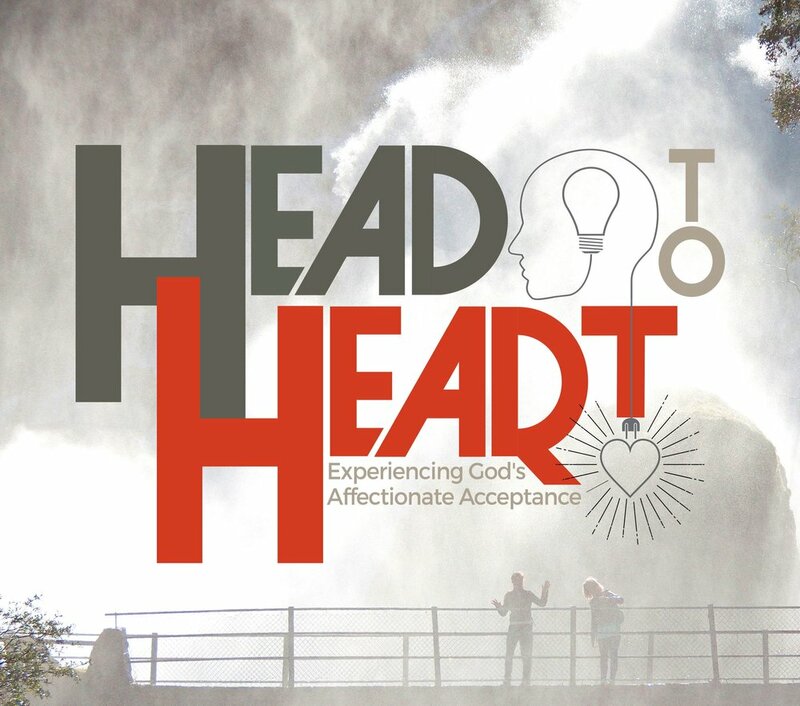 People interested in taking a group of people through the Head to Heart Discipleship Intensive or those interested in going through a survey of the Head to Heart program. We will explore three false beliefs that a person can "buy into" when they are spiraling into sin. When we fail to resolve past hurts by forgiving people who have wrongly hurt us, it causes us serious spiritual and psychological problems. True forgiveness has a deeply profound effect upon the forgiver, turning an internal atmosphere of anger and resentment to one of peace and joy. Four negative ineffective communication patterns appear again and again, in our lives and in Genesis 3: blaming, placating, rationalizing, and distracting. Each of these patterns is a response to powerful emotions within, and under stress and during conflict we are especially likely to resort to one of these patterns. Healthy communication includes getting below the surface, to be able to describe what is going on inside of oneself and to learn to listen sympathetically to the other person. We describe two techniques to help improve communication: weather reports and weather radar reporting. What the role and goal of a facilitator. What to do and what not to do as a facilitator. The ability to feel pain was originally a blessing, and God still uses pain to signal to us that we need to address issues in our lives and relationships. However, we often take good gifts of God and misuse them as coping mechanisms, which may develop into addictions, that help to bury the pain and find some pleasure. The point of Christianity is not knowing information about God, but a relationship with God and an integration of his truth so that we have the emotions of God. At the root of our emotions are our instinctive beliefs, our real operating belief system. So our negative emotions provide indicators of the false instinctive beliefs that we are still holding on to. Our family of origin is a powerful force in shaping our instinctive beliefs. We will focus on the unhealthy aspects of families, especially the dysfunctions that arise from long­term stress, because they play such an important role in forming our false beliefs. Our goal is to understand the normal external and internal responses of a child who grows up experiencing such stresses. HEAD TO HEART 2017 © DAVID ECKMAN, Ph.D.
For God's truths to become our own instinctive beliefs, we need to feel and experience these truths at a heart level. Although we are not usually taught the importance of our imagination for spiritual growth, it is God's intent that we use our imagination to picture ourselves in the truths of Scripture. We will begin the process of identifying our false instinctive beliefs by looking at the impact of the Fall. Adam and Eve's rebellion against God created mutations within humanity's "spiritual DNA," with the foundational mutation being that we doubt God. KILLER INSTINCTS: Forge an alliance with God the Father and kill the Instincts that wage war within. We exist in an evangelical culture emphasizing what we know and what we should do. In the New Testament true heart change or repentance is much more than that. It is a profound change of the very instincts of our hearts. We will survey the New Testament to show how important this topic is, and how they are to be changed. $10 per person. REGISTRATION REQUIRED. Chinese Christian Love and Unity Club, CCLUC, is an inter-church nonprofit organization that helps churches to serve the singles community by gathering the best resources in God's kingdom, to provide a wholesome platform for single Christians and seekers to connect. On Sunday, August 14, 2016, Dr. Eckman had the opportunity to minister at Central Peninsula Church in Foster City to a multi-ethnic and technology savvy congregation on the topic of the Bible and Psychology. You can watch the video of his sermon below.